In observance of the Twelfth Sunday after Trinity, reflect on the following sermon by C.F.W. 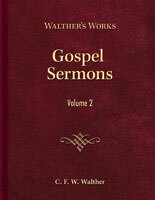 Walther (from the second volume of Gospel Sermons). The grace of our Lord Jesus Christ, and the love of God, and the communion of the Holy Spirit be with you all. Amen. Last Sunday we considered the extremely comforting story of how the fallen tax collector became righteous before God. This story tells us that it is not our righteousness and piety, it is not our good works, by which we become righteous; it is all grace, which God gladly gives to all who need and long for it. From this story we see that God does not reject even the greatest sinner but gladly receives him again to grace. Even if a person has absolutely nothing, even if he can produce no good work, even if he sees in himself nothing but sin and can only cry out, “God, be merciful to me, a sinner!” God still wants to hear his anxious sighs and give him the righteousness of His Son, Jesus Christ. Who should not obtain courage and hope from the good news that someday he can be with those who stand at God’s right hand? Whoever knows this Gospel can never doubt as long as he still considers it the truth and does not willfully throw it away. Oh, if only all would heartily accept this precious doctrine! The majority, however, gladly let it be preached to them; they listen with pleasure. They rejoice that heaven opens readily to all men; but they also progress only as far as this pleasure. The majority who still come to church approve of this doctrine, but that is all which they do; that is all which goes on in them. They do not yet have an open heart. Yes, there are even such hearers who abuse the doctrine of justification by grace through faith, and even this precious medicine for the soul is turned into poison. They willfully misuse grace. If they hear that God forgives even the greatest sins, they consider the greatest sins insignificant. When they hear that the tax collector was justified when he cried, “God, be merciful to me, a sinner,” they think if they copy this word with their tongues and with a pious mien, the work of conversion is completed also in them, even if the old spirit remains. And so many postpone their conversion until the hour of their death, supposing that there is always time to join the tax collector in beating their breast. If such hear that one does not become righteous before God by his good works, they conclude that it is unnecessary to be earnest and zealous in one’s sanctification. From all this you can see that the Gospel is a doctrine only for the anxious whose sins oppress them, only for souls fed up with this world. Even today the important passage from Isaiah is confirmed, “If favor is shown to the wicked, he does not learn righteousness; in the land of uprightness he deals corruptly and does not see the majesty of the Lord” (Isaiah 26:10). Now my dear hearers, a week ago I showed you how a person becomes righteous by grace through faith; let me now show you how such a justified Christian lives in the Christian life. The miraculous cures in which Christ healed the sick are a picture of that which Christ does to souls through His grace. Christ confirms that it is so when He says of Himself, “I am a physician not for the whole but for the sick,” namely, for their souls. The Christian life of a justified person. 2. It never becomes completely perfect. Not only the doctrine of justification but also the doctrine of sanctification is of great importance for us. We see that from the way Holy Scriptures speak of the Christian life. We, for example, read in the Book of Hebrews, “Strive for . . . the holiness without which no one will see the Lord” (12:14). Paul says in agreement, “Anyone who does not have the Spirit of Christ does not belong to Him” (Romans 8:9b). “Therefore, if anyone is in Christ, he is a new creation. The old has passed away; behold, the new has come” (2 Corinthians 5:17). According to God’s Word, the Christian life, or sanctification, is not an appendage which can be reckoned to Christianity or not. It is something without which one cannot possibly be a Christian. My friends, this is only an apparent contradiction. It is and remains eternally true for the perfect comfort of all sinners that we do not earn salvation by our works. Salvation is given to us when we believe in Christ. The subject matter of sanctification is not how a person becomes righteous, but how a person who has already become righteous lives from day to day. Today we do not ask what the tax collector had to do in order to go down to his house justified, but how the tax collector lived in his home after he returned justified. All this will become even clearer when we consider the example of the deaf man in our Gospel. At first, he was a very miserable person. He thus becomes a picture of men as they all are spiritually by nature. But this deaf man was brought to Christ that He might help him. Christ received him in a gracious and friendly manner. And that is a picture of how a person becomes righteous before God—if he learns from God’s Word to see into his great misery of sin. If with sorrow he sees that up till now he was deaf over against God’s Word and dumb in praising Him. If he recognizes that the ruin of his heart is so inexpressibly great that he cannot even deliver himself from God’s wrath and eternal damnation. If in such a person frightened over his sins there arises a heartfelt longing for grace. If he prays for it. If in this misery he turns to Christ because he hears in the Gospel that Christ is the Savior of sinners. If the sinner begins to implore, “Oh Jesus, You have suffered and died for all, will You not have mercy also upon me? Oh help me also; oh Jesus, be merciful to me. a sinner!” If matters go that far, then Christ receives him in a very friendly way and in God’s tribunal is absolved from all his sins, Christ’s righteousness is imputed to him, and he is received as a child of God. That is justification. Oh blessed, blessed, is the person who travels that road; his salvation stands forever firm. He who with pain and sorrow over his sins turns to Christ should hold fast to the Word of the Gospel. He should firmly believe that he is also received by grace, even if he feels absolutely nothing of it in his heart, yes, even if he is sensible of nothing but death and damnation. And even if the heart should say, “No!” he should consider Christ’s Word more certain. However, my friends, we hear that Christ did not only receive the deaf man in a friendly manner; we read, “He put His fingers into his ears, and after spitting touched his tongue. And looking up to heaven, He sighed and said to him, ‘Ephphatha,’ that is, ‘Be opened.’ And his ears were opened, his tongue was released, and he spoke plainly” (Mark 7:33b–35). Here we have a picture of sanctification. As the Savior graciously healed his infirmity after He had in grace received the deaf man, so the Savior also treats the soul of him who finds grace in Him. Justification goes on in heaven. Yes, a person, mourning over his sins, often does not even know that he is already justified. He still cries tears of repentance while all the angels in heaven rejoice over him. But justification does not remain without influence on a person. The firstfruits of it are that he is born again, that is, he receives the Holy Spirit; he receives a new heart and disposition. He no longer lives in sin but becomes fond of God, His Word, His will, and gladly lives the Christian life. If the heavenly Father through justification calls a person His child for the sake of the reconciliation of Christ, the Holy Spirit begins the work of sanctification in his heart. This sanctification does not consist in this, that a person no longer curses, commits adultery or lives in the gross works of uncleanness, gets drunk, or openly deceives and lies. Even the heathen can abstain from such out and out vice; but sanctification consists in this, that the justified person becomes an entirely different person. He begins to live no longer to himself but to the Lord Jesus. He does not go to church only now and then, hearing God’s Word out of custom or curiosity, but to one who is sanctified, God’s Word is more important than the whole world. God’s Word lies day and night on his mind; he arises with it and goes to bed with it. The concern for his soul’s salvation unceasingly occupies his heart; he therefore would rather speak only of heavenly and divine things, of the one thing needful. Even if he is busy at his earthly calling, he does it with a mind directed to God. He also begins to watch over his thoughts and desires; no longer can he indifferently let evil thoughts go through his mind, and if they do arise, he prays against them. He hates sin; he no longer fosters sin with great care. He does not let them rule over his will, but battles against sin, even his pet sins. If out of weakness he heedlessly falls into sin, he does not continue in it, but is ashamed of himself, confesses it to God with heartfelt humility, and prays for forgiveness. He lets his fall serve as a warning, becoming only more humble and watchful over himself. A sanctified person views the pleasures of the world as vanities; he no longer acts like the world. He finds more pleasure in God’s Word and in interests common to Christians. If such a Christian has a day of rejoicing, he seeks to enjoy it in the Lord. If he possesses earthly goods, he takes care that his heart does not cling to them but alone to God. If suffering comes, he prays to God for patience, guards himself against murmuring against God, and comforts himself with the glory of heaven which awaits him. A sanctified Christian seeks to dedicate his whole life to his neighbor. He does not seek his own but his neighbor’s prosperity. He loves his neighbor dearly, not only in appearance, not only with words, but in deed and in truth. He helps him willingly in trouble; he rejoices at his good fortune and sympathizes with his misfortunes. He gladly covers the weaknesses of his neighbor; he is willingly reconciled with him who offended him. He is concerned for the salvation of his neighbor’s soul. Finally, what is the most noble, the sanctified Christian sees more and more of his failings rather than the good which is worked in him by God’s grace. As a result, he considers himself nothing in God’s eyes. He humbly considers himself among the least. That is the new heart and life which the Holy Spirit begins to work in those who have become justified through faith in Christ Jesus. Perhaps there will be few of us who do not consider themselves justified. Let me now ask everyone: Have you become another person after the justification which you believe you have experienced? Have you received a new heart? Were you driven by another Spirit, namely the Holy Spirit? Has your whole disposition now turned away from earthly toward heavenly things? Have you become an enemy of sin? Do you consider the things in which the world seeks its peace as vanities? Do you rejoice as though you did not rejoice? Do you own as though you did not possess? Are you ready, if it is God’s will, to take up your cross? Is your heart no longer so cold, but is it warmed by the fires of love? Do you find in yourself what Paul says, “If anyone is in Christ, he is a new creation. The old has passed away; behold, the new has come” (2 Corinthians 5:17)? Or did you perhaps only for show imitate the tax collector, saying, “God, be merciful to me, a sinner”? Did you suppose that that takes care of your salvation? Do you want to remain sitting peacefully in the ship of the Church and imagine that even if you remain the same old person, you have arrived in the new Jerusalem? Ah, how many, how countless many, who here considered themselves Christians, will someday find themselves deceived! Without sanctification, no one will see the Lord. Not because a person must first through sanctification receive grace, but because he who has received the grace of Christ will from his heart also be sanctified by the Spirit of Christ. As soon as the tax collector Zacchaeus experienced salvation he immediately wanted to give half of his goods to the poor and repay those fourfold whom he had deceived. Just as much had been forgiven the woman who was a great sinner, so she also loved much. Ah, my dear hearers, as sweet, as boundless in comfort, the article of forgiveness, righteousness, and salvation by grace is, so easily can one forfeit this comfort. Let no one willfully deceive himself. Let everyone earnestly apply this to his soul’s salvation. The usual experience is that those who should be frightened remain for the most part secure and think that their salvation is assured; but those who should not be frightened easily become despondent and fear that they are deceived. For these last I must in the second place add that the Christian life of justified Christians is genuine, but it will never be completely perfect. We find an indication of this in our Gospel. Those who brought the deaf man to Christ were, as we can hope, already justified. God had already begun the work of sanctification through His Spirit in their hearts. Christ forbid them to tell anyone of the miracles which had taken place. But as we read, “But the more He charged them, the more zealously they proclaimed it. And they were astonished beyond measure, saying, ‘He has done all things well. He even makes the deaf hear and the mute speak’ ” (Mark 7:36b–37). Undoubtedly these people meant well when they publicly praised this wonderful miracle, and yet they sinned. Their zeal was not completely pure because they transgressed a command of Christ; their good work was spotted with willfulness and disobedience. They acted without a call. Yet they did not do this maliciously but from weakness. We must note this: Justification occurs in a second. As soon as a sinner sorrowfully recognizes his sins and desires grace and redemption, God speaks one word in heaven and justification has taken place. Sanctification, on the other hand, does not take place so suddenly. It proceeds by degrees and continues until the end of our life. Justification is instantly complete because everyone immediately receives complete forgiveness of his sins, the entire righteousness of Christ, and each becomes a child of God as well as apostles Peter, Paul, and all the great saints. Sanctification, on the other hand, comes after justification. At first it begins weakly and though it must grow until death, it never becomes perfect. In justification all Christians are equal, equally clean, holy, and righteous, but according to sanctification there is a great difference. One has progressed more, another retrogressed; one is strong, another weak. One has more love, more humility, more zeal, more knowledge, more self-denial and self-control than another. Not everyone reaches Paul’s degree of sanctification; he could say, “I worked harder than any of them” (1 Corinthians 15:10). Not everyone has attained the patience of Job, or the zeal of Peter, or the love of John, or the ingenuousness of Daniel, or the strong faith of Abraham, or the joyfulness in death of the sainted martyrs. Nevertheless, they must all confess again and again, “Not that I have already obtained this or am already perfect, but I press on to make it my own, because Christ Jesus has made me His own” (Philippians 3:12). You see, the question is not whether we are already perfect, for that is impossible in this life; the question is only whether we are among those who actually pursue the goal of sanctification, or whether we still are secure and dead in sins. If we are among those running the spiritual race, if we pursue the treasure, happy are we! That is a sign that we are made alive through grace. Sad to say, many enthusiasts allege that a person can be perfect in his sanctification; but let it be said that in this life the Christian life will always be imperfect. Only a hypocrite or a self-blinded person, only one who is not ashamed to exalt himself over all the apostles and prophets can say that his Christian life is perfect. Anyone who thinks he is perfect can no longer pray the Fifth Petition of the Lord’s Prayer; consequently, he no longer needs a Savior and the Gospel. Oh, what great blindness! Oh, what frightful abuse of the merit of Jesus Christ and His dearly won grace! Of course, the apostle Paul speaks of perfection, but read the passage which follows. There he says, “Let us therefore, as many as be perfect, be thus minded” (Philippians 3:15, King James Version). Minded how? As the apostle had said, “Not that I have already obtained this or am already perfect.” Christian perfection consists chiefly in honestly recognizing his imperfection and viewing himself as perfect in Christ Jesus. In this connection we notice the following: If a person is justified, God in the beginning usually lets him taste many sweet impulses of His grace in order to draw the sinner away from the world and to Himself. A beginner then often supposes that he has progressed far beyond the world, sin, and Satan in his Christianity. If he would keep this idea, he would soon become secure and proud. God therefore, as a faithful Shepherd, withdraws from most the sweet feeling of grace and power. He gives it to him sparingly and exercises him more in humility. Now a person becomes truly poor, must obtain everything daily from God by begging for it, and must ever more cling to Christ’s Word of grace in order that he might not be lost. If God’s gracious work in a person is the work of sanctification, he recognizes this above all from the fact that his spirit struggles against his flesh. If he experiences that sin rages in him, but that there is another something in him which restrains him from the control of sin, driving him again and again to prayer and God’s Word, compelling him to go to Christ and beg for forgiveness, when sin takes him by surprise, then he can be completely certain that he is not dead, for a dead heart does not fight sin. Now my dear friends, you who are even now engaged in this struggle, continue courageously in it. Do not spare yourself. Do not fight in your own power, though; draw daily from the fount of divine grace in Christ Jesus and you will certainly not fall fatally injured but will finally carry the field and obtain the victory. Amen. From Gospel Sermons, volume 2, pages 116–23 © 2014 Concordia Publishing House. All rights reserved. 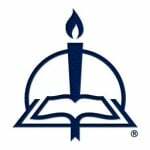 To order Gospel Sermons, please contact CPH at 800-325-3040 or visit www.cph.org.